DAVIS-Where can singles from Oklahoma, Texas, Kansas and even New Mexico come together in one place to celebrate all the things that make their lives wonderful, including being single? Falls Creek Baptist Conference Center, of course. October 26-28, singles from all over Oklahoma and surrounding states convened for three days of captivating worship, relevant teaching and funny balloon hats at the 2007 Celebrate Life Falls Creek Singles’ Conference. 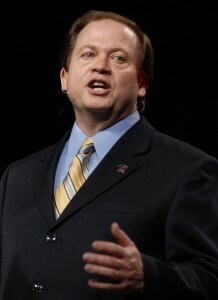 Randy Davis, singles consultant for the Baptist General Convention of Oklahoma and single adult minister at Oklahoma City, Quail Springs, organized the event. While greeting attendees the first night, Davis expressed the thoughts of all those who attended the previous year – “praise the Lord for the new Raymond A. 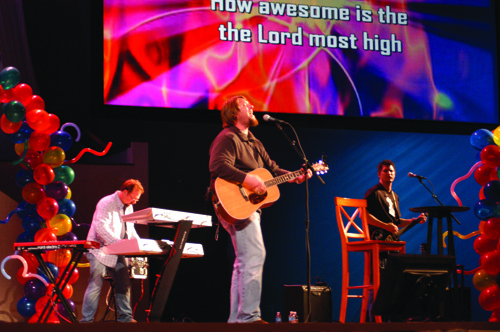 Young Tabernacle!” Comfortable and cozy in the climate-controlled tabernacle, attendees took their minds off the weather and dove into the first of four musical worship sessions led by the Mark Ryan Band. The celebration had officially begun. Dave Edwards, speaker for the event, guided the group through four celebration services over the three days, highlighting the joys and the positive elements of single life that are sometimes forgotten while singles navigate through a world that seems made for couples. Through laughter and the tears it caused, the group dug into the word of God and heard messages from Edwards that were directed to their lives and situations. “God knows how to get you where you need to be; for some of us He takes a different route. 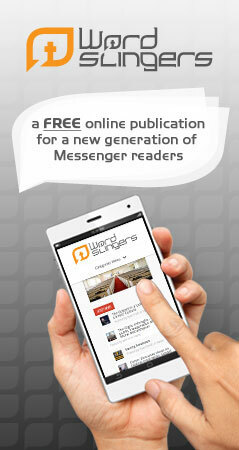 We are never at an age or stage in which we are exempted from Scripture,” Edwards exclaimed. Edwards also reminded singles that they are not a sad minority to be overlooked. The worship and celebration sessions proved to be only the beginning of the party. 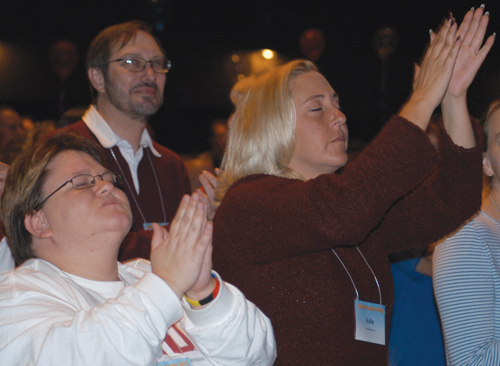 During the second and third days of the conference, attendees were given three opportunities to attend one of 23 breakout sessions that focused on a wide range of topics including friendship, money management, prayer life and more. Of course, for the party to be complete, there were also hundreds of balloons, delicious snacks and hot chocolate with whipped cream. For more information about Saturate events in 2008, go to www.bgco.org/singles for updates. The 2007 Celebrate Life Falls Creek Singles’ Conference and other ministries like it are made possible by gifts to the Cooperative Program.